We continue our series of useful examples of SugarCRM customization. A CRM system is meant to simplify the work of its users. Yet, it may not always be the case. Namely, users working in SugarCRM daily are often faced with tasks that involve inputting large amounts of homogeneous information into the CRM system. This requires a lot of effort and time and, therefore, might be quite labor-consuming. Taking that into account, we’ve developed a SugarCRM customization that will greatly simplify the process. Why do you need to customize SugarCRM? In carrying out some tasks, users are forced to repeat the same actions – open a data-entry form, input the information, save the record. For a B2B / B2C sales manager – accepting a customer’s order with a large number of items, preparing a request for dispatch of goods from the warehouse. For a call center operator – registering a client’s inquiry (e.g. consultation, complaint, request) during or after the call. For a marketing manager – registering attendees of the exhibition. 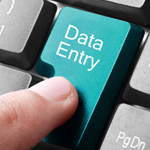 It takes quite some time to execute standard system actions – opening a data-entry form, saving the information entered, etc. While the waiting time is not critical for one or two entries, it can play a significant role when there are dozens of records to be processed. Employees lose time while inputting the same type of information due to the repetition of the same actions. This time could be spent more efficiently, for example, on completing other tasks. SugarCRM users become more and more irritated at the system, since it forces to repeat the same actions in a short space of time. Thus, the CRM system seems to complicate and slow down the working process, instead of simplifying it. Do you have any special requirements for SugarCRM customization? Discuss your needs with our experts! How to customize SugarCRM to simplify data entry? No matter how much companies want to automate all the processes, data entry remains a unique part of the process, which only people are capable of doing. Therefore, it cannot be completely automated but can only be simplified to the greatest possible extent. Nevertheless, it is possible to get rid of the constant clicking on “Create” and “Save” buttons. To do this, one needs a SugarCRM custom form that would allow inputting the desired amount of the same type of information into a single box, with the latter not throwing the user from the page he is working on at the moment, for example, from the order page. In the form, a manager chooses a product from the product catalog and indicates the number of units ordered. SugarCRM automatically shows the price from the price list and calculates the value of goods ordered with a certain formula. The use of the form is as easy as ABC. Thus, to add a new product to the order, the user only has to click “+”. An extra line for adding goods will appear immediately, with the user staying on the same page they are working on at the moment, for example, on the order page. When the user has finished data entry, they click “Save”, and the system responds by saving all the added items. The same principle applies to arranging other processes of inputting large amounts of information, whether it be a request for replenishment of stock in a store or registration of a client’s inquiries. First, by saving time on performing the same type of tasks, business users will have more time for more important duties, such as sales. Second, SugarCRM users will enjoy user-friendliness of the system, which not only assists in the working process but makes it a lot simpler. Such seemingly insignificant and fairly simple SugarCRM customization provides both a significant advantage for the company as a whole and improvement of experience for its end-users. A true win-win situation. Should you have any further questions regarding SugarCRM customization, please leave your contacts in the form down below. We will be glad to assist you.